Species before mutation into SCP-488-JP. Special Containment Procedures: Instances of SCP-488-JP are to be contained in a 5 m x 5 m x 5 m High-Risk Humanoid Containment Chamber with walls 20 cm or more in thickness because they are too dangerous to be contained in a Low-Risk Biological Containment Chamber in Site-81██. Personnel are to prevent SCP-488-JP from getting offended by feeding two living human children to them appropriately twice a day. In order to maintain containment of SCP-488-JP, a Mobile Task Force is to prevent them from increasing their population, and other personnel are to assist the activities of preventing propagation of SCP-488-JP. Currently, 14 instances of SCP-488-JP have been contained by all might of the Foundation. Personnel who work with SCP-488-JP should make visual contact at least once with the terrifying and bloodthirsty instances/images/videos of them, in order to determine whether they can remain conscious or not. For submitting questions or requesting redaction of this document, make contact with Information Management Team "Red Riding Hood" through Containment Chief. 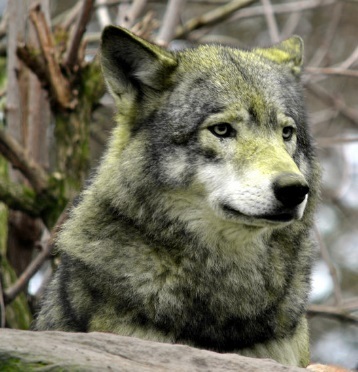 Description: SCP-488-JP is a designation for humanoid organisms mutated from a species of gray wolf (Canis lupus). SCP-488-JP are capable of altering reality powerfully, according to information from some literature, and will modify the reality to brutally kill those who create information about the entities by their abilities. Documents/audio data/real voice/images/videos and the everything else are regarded as information media and unfortunately put on the murder list of SCP-488-JP. The victims altered by SCP-488-JP contain information which is indescribably terrifying and shows that the species lacks senses of ethics, seen even from an objective point of view; it describes SCP-488-JP as "violent and cruel werewolves". The ability of reality-bending manifested by SCP-488-JP is restricted to form of partial alteration of victims' bodies and addition of body regions with unknown function, but it is to be noted that SCP-488-JP have not yet exerted all of their abilities. All attempts to restore altered subjects, who is usually [Massive data was deleted due to its extreme cruelty] have led to further regrettable alteration, despite exhaustive investigation by the Foundation. SCP-488-JP came to the Foundation's attention following the fact that despite assignment of a Mobile Task Force after a widespread rumor about werewolves in the perimeter of Mt. ███████ in Japan, which resulted in annihilation of the MTF and massive casualties, none of the instances were observed and none of members of auxiliary forces returned. Further investigation revealed that the MTF members had left information about the reality-altering ability of SCP-488-JP, and all of the instances were contained at last after a massive operation that costed ███ lives. In comparison to SCP-488-JP instances, which have extremely powerful warfare capabilities for animals, rather than for species of gray wolf, even bears and killer whales have despairingly poor physical abilities; it is considered unimportant for SCP-488-JP to manifest the reality-altering ability in order to massacre any kind of animals. People around Mt. ███████ have built a SCP-488-JP-centered culture, struggling to survive. Experimental Procedure: D-3793 was told to enter the containment chamber and was sacrificed for SCP-488-JP. Result: No one was able to keep on observation of the test after SCP-488-JP touched D-3793 and his skin [REDACTED] harshly. This was contrary to the expectation that no anomalous effect would be manifested by physical contact. D-3793 would say "doomsday" or something and try to run away when he saw SCP-488-JP, but his word was interrupted as he was converted into [DATA DELETED] by the reality-bending ability. He emitted a roar in great tribulation echoing in the containment chamber. Addendum: Coloring the altered text into red has not been determined effective because it also led to further alteration of the information. For detailed background, see Investigation Log 488-█ "Relation between Canid Chromatic Vision and Alteration Trend in Each Font Attributes". Presently, information about SCP-488-JP has always been monitored for alteration and subjected to coloring treatment, in order to avoid fearfulness and confusion. This document was prepared by Information Management Team "Red Riding Hood". Edit authority is restricted to the team members. While you read the document, keep in mind to read the whole of it, not only red-colored characters.